Hoorah. 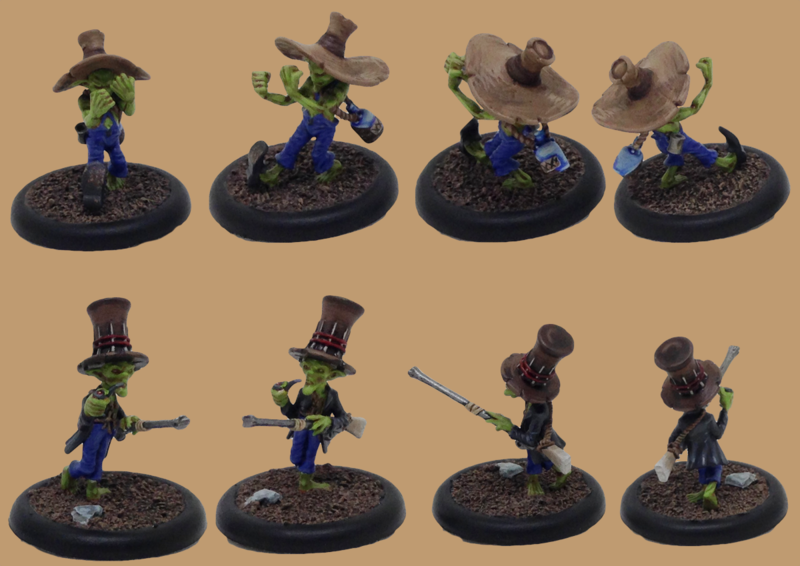 Slow going, but I’ve completed two Bayou Gremlins. These were much harder than Lenny to paint and I’m really not as happy with them. The skin in particular feels much more messy to me. But, at least the models are flowing. That’s about 16 soulstones in value completed now. There are elements on the models that I do think were successful. 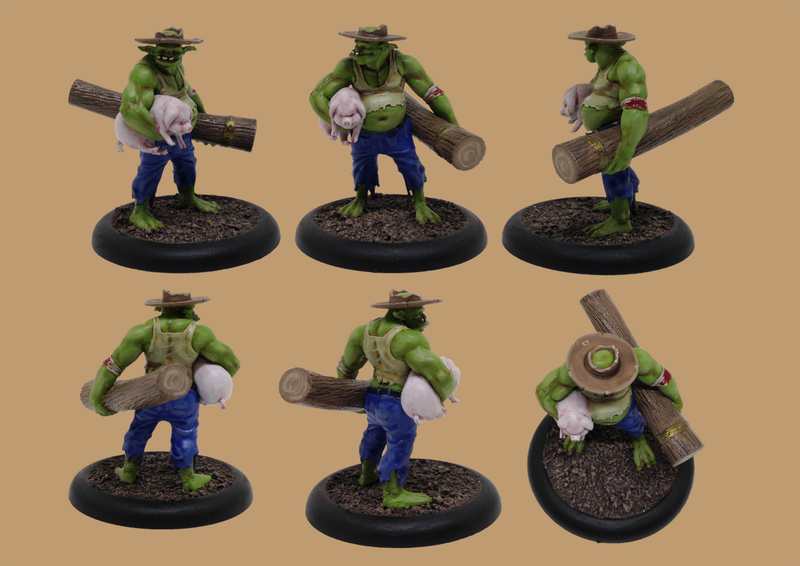 The bare knuckle fighter Gremlin has a jug of moonshine on a rope. I’m pleased that I’ve managed to capture the impression of the jug being half full. And on the gentleman Gremlin I was able to give the impression of the pipe being lit. 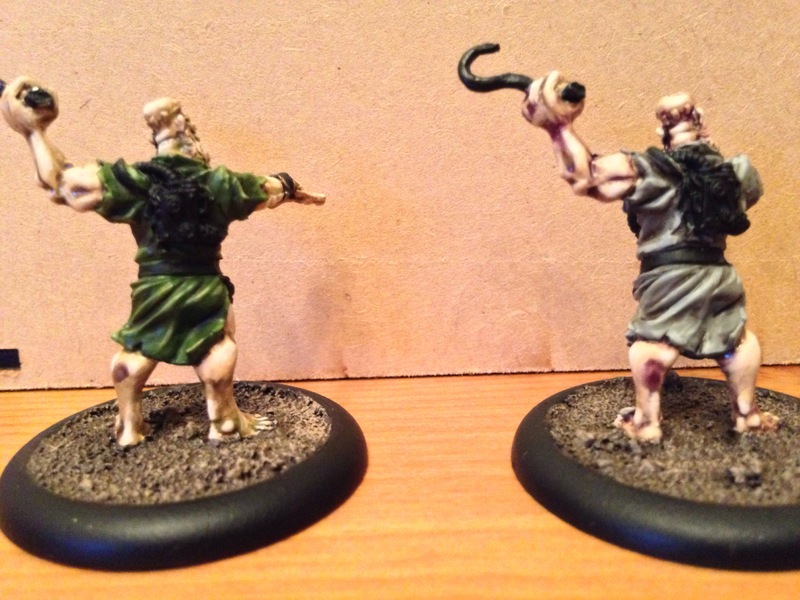 Nice little quirks to the models. I’ve also found that photographing the smaller models is much harder with my Foldio setup. The LED strip focuses light from above which creates significant shadowing over the model (particularly those with big hats). So you’ll also see that I found the editing job in Pixelmator much harder – for example, the auto selection tools struggled to pick the edge of the base out from the shadow on the background. If any has some tips for photographing models in a Foldio setup then please let me know. I found the process so easy with Lenny that I was surprised to struggle this time. 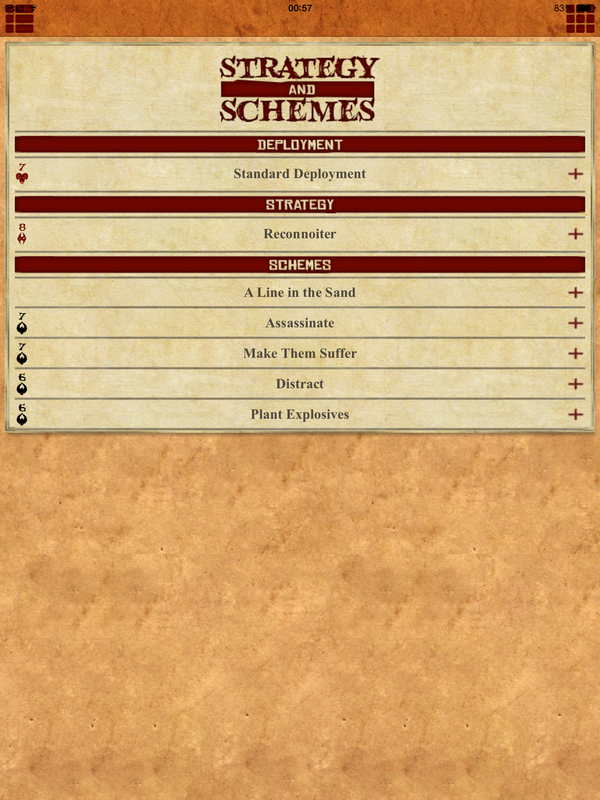 A few games into M2e and I’m loving McMourning’s play style. It’s great fun to fill an enemy with poison and Expunge the lot to trigger Abra Cadaver and boom… summon a Flesh Construct. 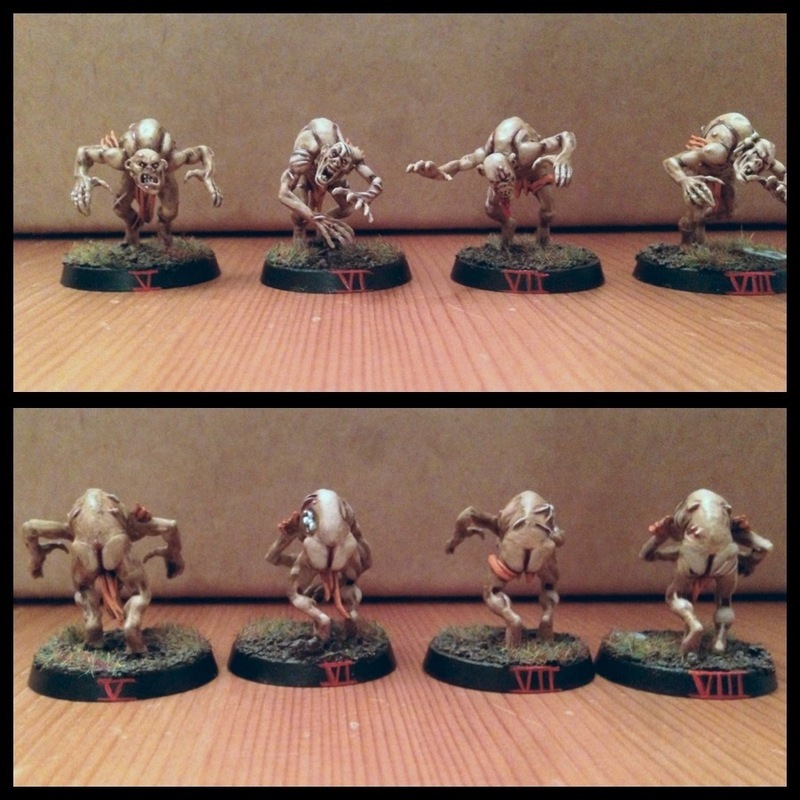 So, it follows that I need to get some constructs painted up! Obviously they are a work in progress and I think I need to find a way to introduce some bolder colours. I’ll update when I’ve done all the wiring and detail work to finish these guys off. 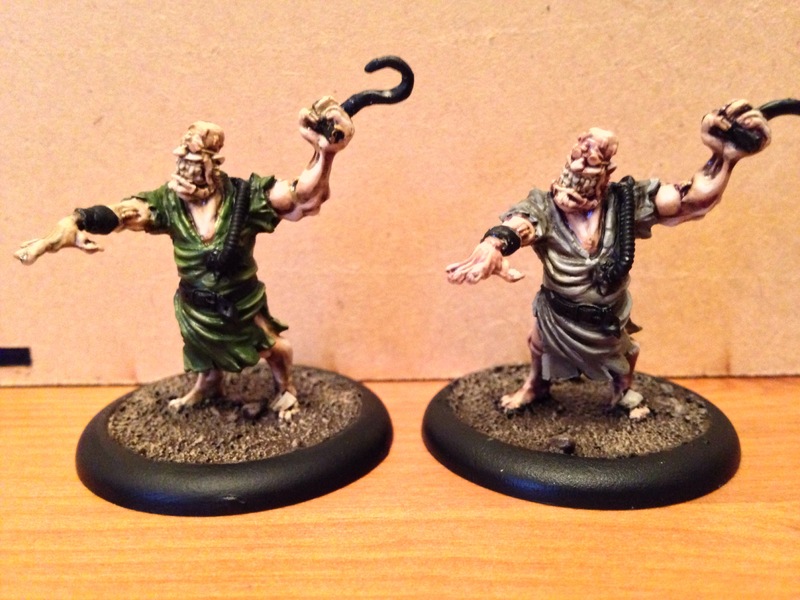 I had a small points outing with the refreshed Malifaux rules over the weekend. And jolly good fun it was too. So fun that I forced some painting in on Sunday. I play Ressurrectionists. The villains of the piece who like playing with reanimated corpses. In Seamus’ case he likes it a lot. Over first edition I drifted toward the straight forward damage output of Dr Douglas McMourning as my master of choice. So it seems right to pick up with McMourning in M2e. I won’t get into the hordes of learning points from the game but, suffice to say, Sebastian died quickly. 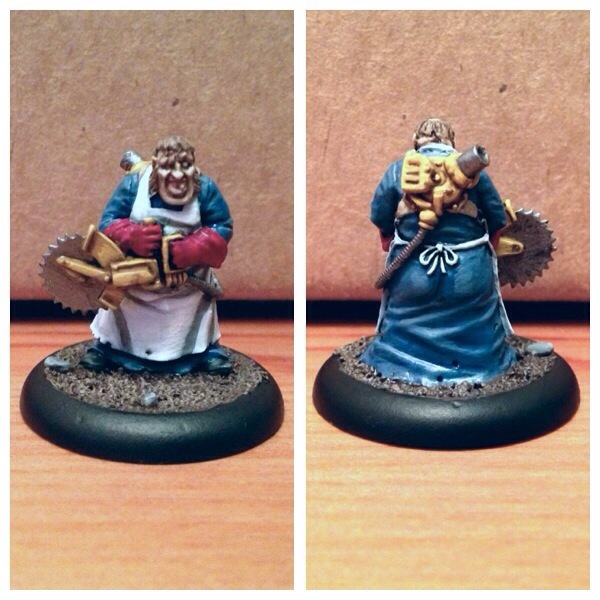 So I decided to paint him – painted models deserve more caution.